Home Ownership: Is It Really Worth It? Recent Gallup polls show that Americans still believe the best “long-term investment” is real estate. Most Americans rank real estate investment ahead of mutual funds, stocks, bonds and other options. This news is somewhat surprising considering the fact that so many Americans lost everything they had in the wake of the recent housing collapse. Could everyone be wrong? Never mind the recent real estate bubble. Over an even longer horizon, the numbers don’t look so good either. 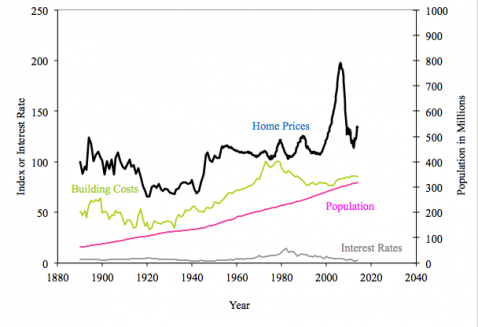 In the past century, housing prices have grown at a compound annual rate of just 0.3 percent once one adjusts for inflation. Over the same period, the Standard & Poor’s 500-stock index has had comparable annual returns of about 6.5 percent. So why does there continue to be all this romanticizing over home ownership? Some believe that people feel more secure investing into something that is tangible. A home is a large investment, but it is one that can actually be seen and measured by how much material and time went in to building it. Other investments are usually only seen as words on a piece of paper. For example, when you invest in the stock market and purchase 100 shares of McDonalds, it is not as if Ronald himself shows up at your door to deliver you an equivalent amount of cheeseburgers or Happy Meals. Foolish Faith or Worth It? Due to the hype that surrounds home ownership, many people end up foolishly buying more house than they need. This can start a snowball effect by tie-ing up all their cash flow, keeping them from diversifying into other investments, and also resulting in higher than necessary maintenance costs and general up-keep. Many people are beginning to shift their opinions on real estate investments and lose a bit of the allegiance toward this great American dream of home ownership. According to surveys done in 1996, nearly 90% of Americans believed it was better to purchase a home rather than rent one. When asked that same question 5 years later, the number fell sharply to only 63%, and many people began to refer to it as the great American nightmare rather than dream. Proponents of real estate investment will argue that real estate return on investment is misrepresented due to other factors such as tax credits. The United States tax code pushes people towards home ownership by offering tax incentives for first time home buyers, and other tax credits for those who own a home. After all, we all have to live somewhere, right? But despite the recent trend away from investing in home ownership, there are still many people who defend it as the best option for putting your money to work for you. People might argue that while purchasing a home is a considerable investment, the money used to pay off the mortgage each month is comparable to what they would have otherwise paid towards rent if the person did not own their home. The main difference in putting that money towards owning a home rather than renting one is that in 30 years when the mortgage is paid off you actually own the property, as opposed to a rental where the equivalent amount of money paid each month would result in an investment gain of zero after 30 years. Another valid claim in favor for home ownership is the fact that while the housing collapse hit the entire nation with financial and economic strife, there are still many places in the US that are showing great economic success. Investing in real estate in an area that is continuing to grow and show signs of economic success can result in a very high return on your investment over time. In these regions, there are many people who purchased their home 30-40 years ago for somewhere around $35,000, who now sit on that same investment valued today at over $1 million dollars. Many people who support property investment over other traditional investments also point out that while the real estate market did suffer its’ recent crash, the stock market also faces the same, if not higher, risk of crashing. People lose millions of dollars invested into the markets on a regular basis, just based on poor choices alone. But even if the real estate market suffers a great down turn, you never end up losing everything– you still own your house. Many would argue that over time the best investment for Americans continues to be owning a little piece of that dream. Let’s look at a typical example and run the numbers to get an idea about return on investment. According to census.gov, the March 2014 median average sales price of new homes in United States is $290,000. From deptofnumbers.com, the US median residential rent was $884 in 2012. Let’s take these numbers and compare the relative outcome of investing in a home through a standard 30-year fixed mortgage at a current 5% interest rate versus taking the down payment and investing in the stock market. We calculated the break-even point by examining how long it would take to create enough equity in this home to exceed the value of investing our initial down payment. We also accounted for differences in monthly rent and house payments–if our rent payment is less than our net house payment, we add that monthly savings to our investment. If our house payment is less than our rent payment we subtract that amount from our investment. In 30 years the value of our investments made while renting has grown to $988,493 while our home equity has grown to only $661,672. As you can see, it is quite possible to earn a better return on your initial down payment investment even when accounting for rent payments and those highly sought after home ownership tax credits. There are many other costs associated with home ownership beyond the mortgage. Insurance is an essential, unavoidable and costly part of having a home, and HOA fees add up to a lot of money very quickly. Even if you’re lucky enough to not have association fees, you’ll still end up spending a loads on general maintenance. Then come the inevitable repairs – the broken hot water tank, the leak in the roof, mold damage. These can be a substantial burden when they creep up for the property owner, but are things renters don’t have to worry about. Holding a mortgage is a large liability that limits your freedom in many ways. We are living in a time where we need entrepreneurs more than ever but fewer than ever are willing to take the risk. Job security to satisfy mortgage payments is the reason most are unwilling to take on the risk of starting a new business – one of the quickest ways to acquire wealth. By taking on a massive liability like a mortgage you end up having to mitigate risk from other places in your life. The fear or failing in a new venture and subsequently threatening the good standing of their mortgage is enough to scare most people away from ever even trying. Many people discount the value of mobility that renting affords. If you want to live an adventurous lifestyle and move somewhere else in the country, or perhaps another country, mortgages add an additional layer of complexity that is enough to keep people from pursuing their dreams abroad. So, what is the answer to this growing debate over whether you should invest your hard-earned money into real estate or not? Home Appreciation: This is completely a function of timing your purchase. You can lose or win based on the price you pay for the home. If home prices are high, renting is probably the best bet. If home prices are low, you could have strong ROI on your investment. That being said, some argue that with an aging Baby Boomer demographic and Millennial / Gen-Y demographic disenfranchised with home ownership, we are more likely to see a real estate market that goes sideways in the coming decades similar to what occured in Japan after their 80s real estate crash. A home purchase is likely the biggest single purchase someone makes in their life, so they should really take time to understand the local and broader markets before making such a huge decision. There are many mistakes that people could make that would cause their real estate investment to be a less than favorable one. Rushing into home ownership, buying in a region that is failing economically, getting sucked into a loan that is less than optimal, or even being uneducated or less informed about your options could result in a negative outcome. The advantages of home ownership can be easily outweighed by the additional costs of maintaining a home, taxes, utilities, improvements, etc. From that perspective a home can be a big money pit. 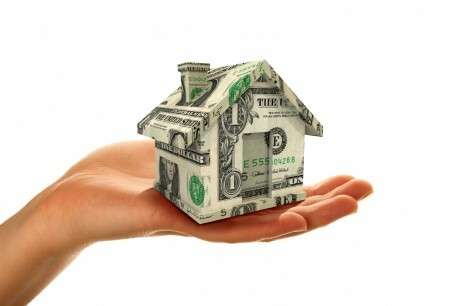 Furthermore, if one is disciplined enough to take that net cash flow they would be putting towards a mortgage and instead invest it in a higher ROI investment, they can definitely do better with their money regardless of tax incentives, rental costs and the other factors we have discussed. There are of course the intangible advantages of comfort, security, stability, privacy achieved by owning a home. Those are hard to put a value on and, and arguably they can be mitigated with a good lease agreement. While there is still no guarantee that your money will be safe anywhere you put it, investing into home ownership continues to be a relatively safe option. The important factor in the success of this investment comes down to the owner himself. If someone is well-informed, patient and wise in making their decision to buy a home, they will find a much higher return on their investment over time. The best advice is always to research your options before jumping into anything. Know all the options available to you before choosing to buy a home. Once you are ready, make sure you do not bite off more than you can chew, and instead focus on purchasing a home that is appropriate to your needs. Remember, the bigger the house, the more problems and subsequent costs you may run into. After all, a well informed investor is often a happy investor, (and sometimes home owner, too!). Home Ownership: Is It Really Worth It? was original published on SuperMoney by Miron Lulic. © 2019. "Miron Lulic". A theme by Sampression. Powered by WordPress. I read this article and found it very interesting, thought it might be something for you. The article is called Home Ownership: Is It Really Worth It? and is located at http://www.lulic.com/home-ownership-really-worth/.